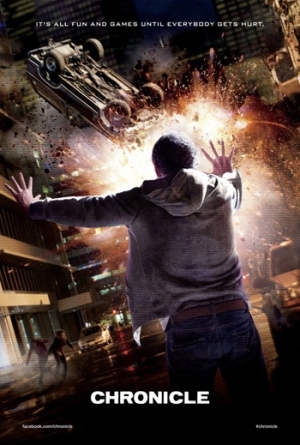 Brief Synopsis – Three teenagers are exposed to something underground that gives them superpowers. My Take on it – I’ve always been a fan of superhero movies and what I liked about this one was mainly it’s originality in presented its story to us. I liked the fact that the main characters are not “superstar” actors but rather relatively unknown ones who help build the realism and plausibility of this story. This is a great example of a film to show people in Hollywood in order to prove that it’s still possible to create original ideas for films and keep them enjoyable. This movie didn’t have a huge budget, but what they were able to accomplish with what they were given shows how much potential the next generation of film makers have in store for us. Bottom Line – Love how this isn’t a typical superhero origin story and that they delve into psychological and philosophical aspects of having powers. Great idea to cast relatively unknown actors in the lead roles because it adds to the realism. If this is what can be done with a small budget, one can only imagine how this would have been had they been given a normal sum to film it. Recommended! I absolutely love this movie and I’m glad to see Michael B Jordan and Dane DeHaan getting more and more roles. This is a favourite of mine. It felt like a very realistic portrayal of what teenage boys would do with superpowers. I liked this one a lot too! Especially Dane DeHaan has been on my radar ever since, he’s very good at portraying this kind of characters. If he breaks out of the characterization I think he could be the next DiCaprio (well, he could actually play his brother too, they looks so much alike). Yeah, me too, but DeHaan is very talented and for example if you take The Beach and replace it with him, it would work, I think. No, deffo not. That’s why I think he needs to start being more versatile.